Kershaw has kept the traditional Scallion but has added a new blackwash finish to the blade. 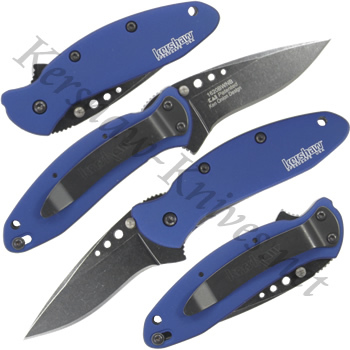 This Kershaw Scallion 1620BWBL has a blackwash finish on the blade and aluminum coated handle in navy blue color. Still made in the USA to make us proud and looking good! The blade is 2.5 inches long and has the black wash finish on both sides. There is three holes on this blade. The pocket clip is also black to match this blade. 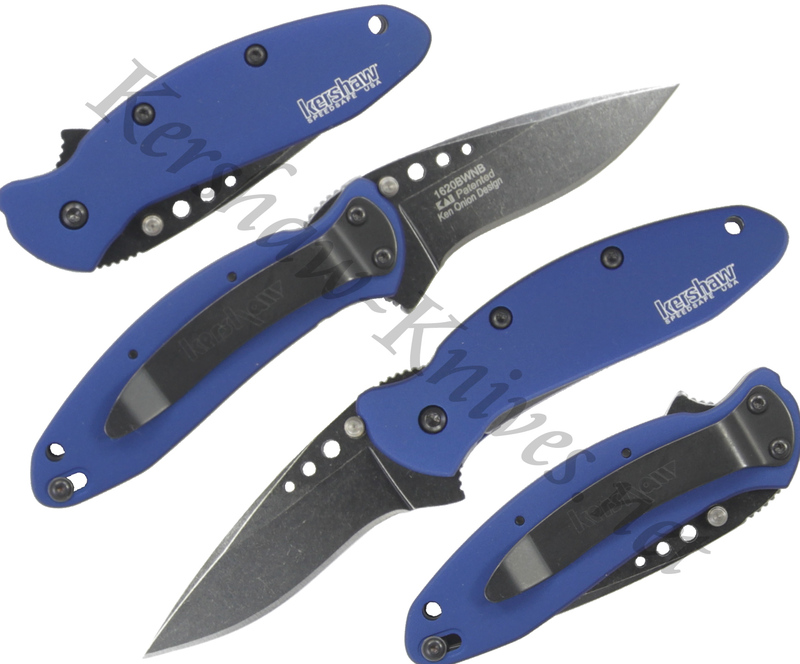 The navy coated handle is made of anodized aluminum.